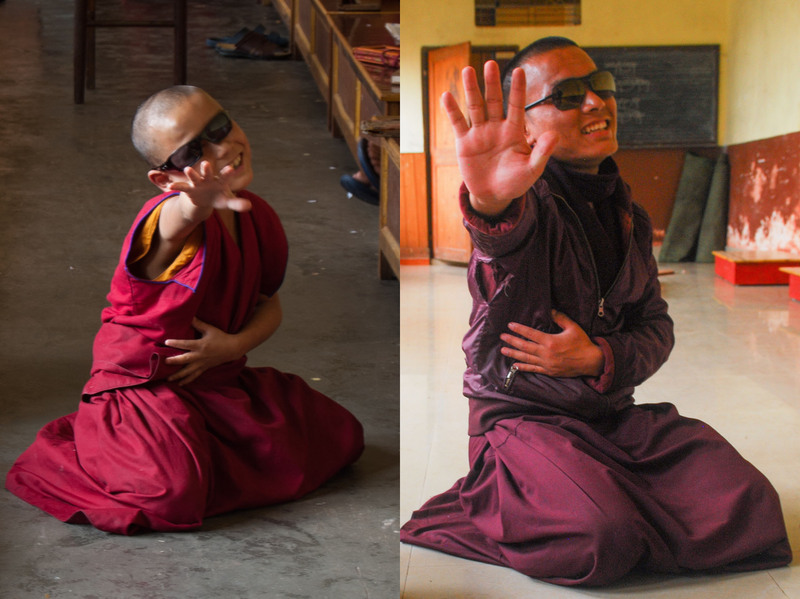 Seven years ago, my partner Adam and I spent the summer teaching English to young monks in Sonada, near Darjeeling, in the Indian Himalayas. 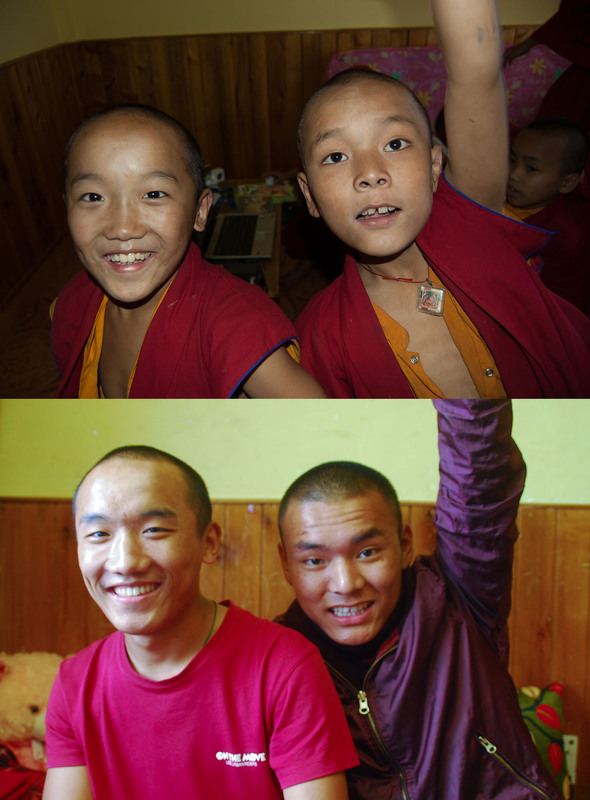 This year, we revisited the monastery, and recreated some of our old photos with our now grown up monks. Finjo and Minima recognised us before we recognised them. We had staged a production of the Jungle Book while we were teachers here and, referencing their characters of Baloo and Shere Khan, they reintroduced themselves as “the bear” and “the tiger”. 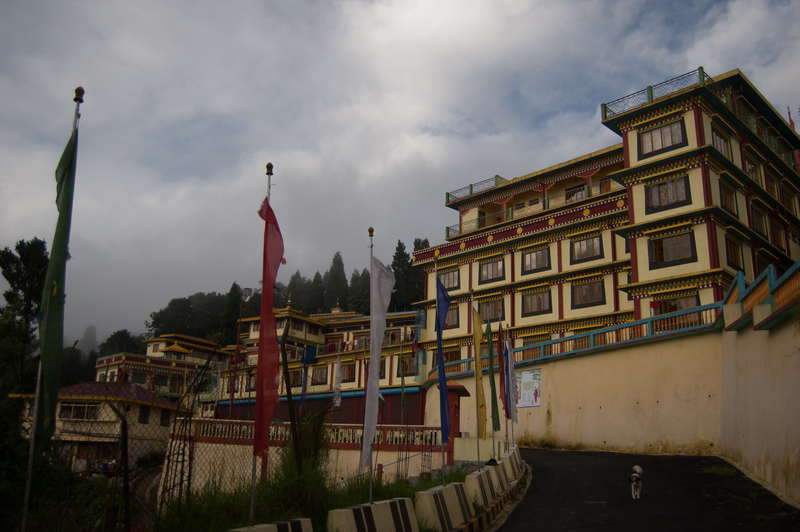 When we arrived back at the monastery, we were told that many of the monks were no longer there. But we were thankful to see more and more familiar faces popping up the longer we stayed. This was one of my favourite photos then and is one of my favourite recreations now. 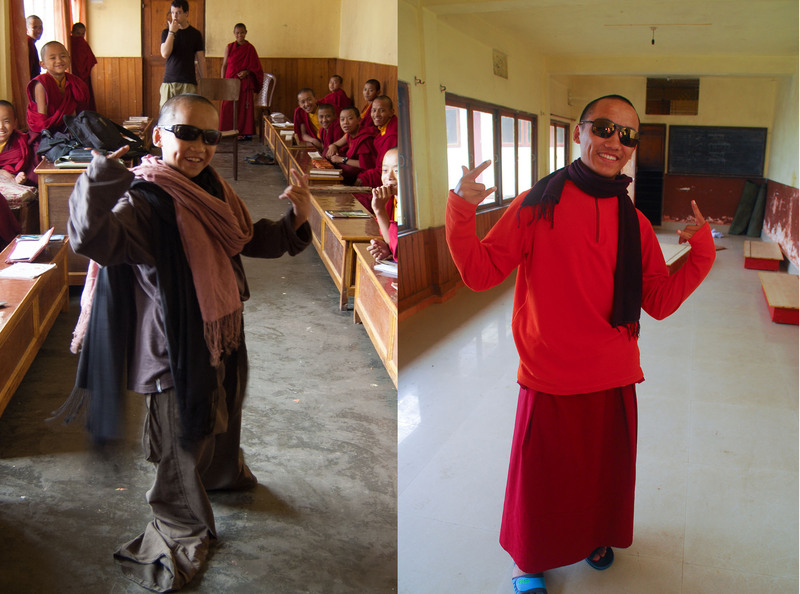 Staying at the monastery showed us a lighter side to being a monk, one that is not often seen by others. 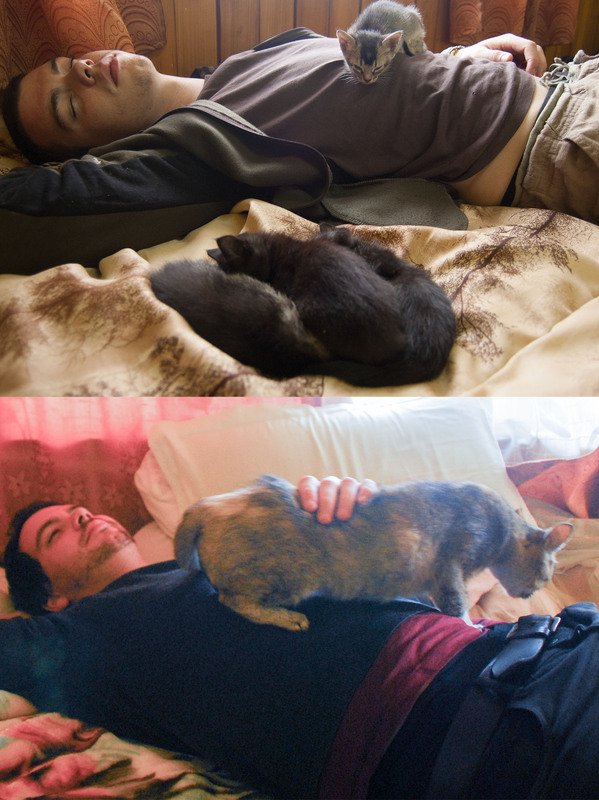 When we were first here, we took care of some kittens, all of whom we named after Star Wars characters. We can’t be sure, but we have a feeling this cat is our little Chewbacca all grown up. 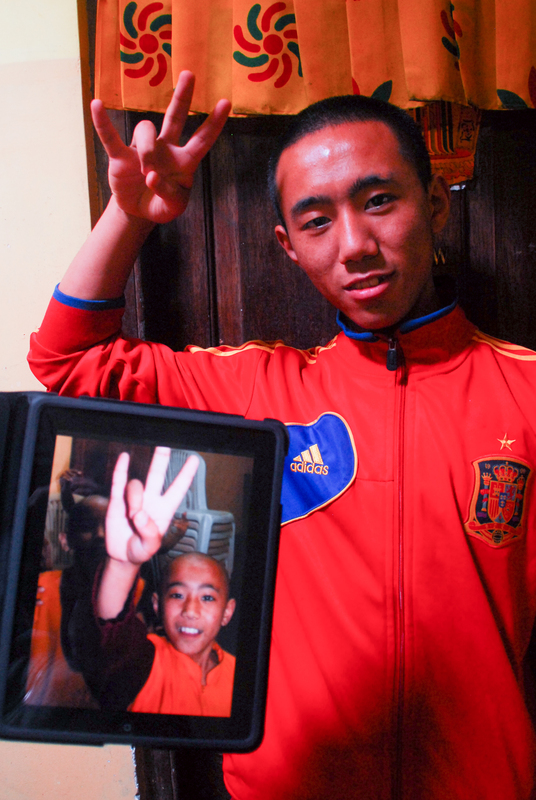 The earlier photo (displayed on the iPad) was taken in our room, where the young monks would pile in in the evenings to watch a film on our laptop or to show us their wrestling moves. 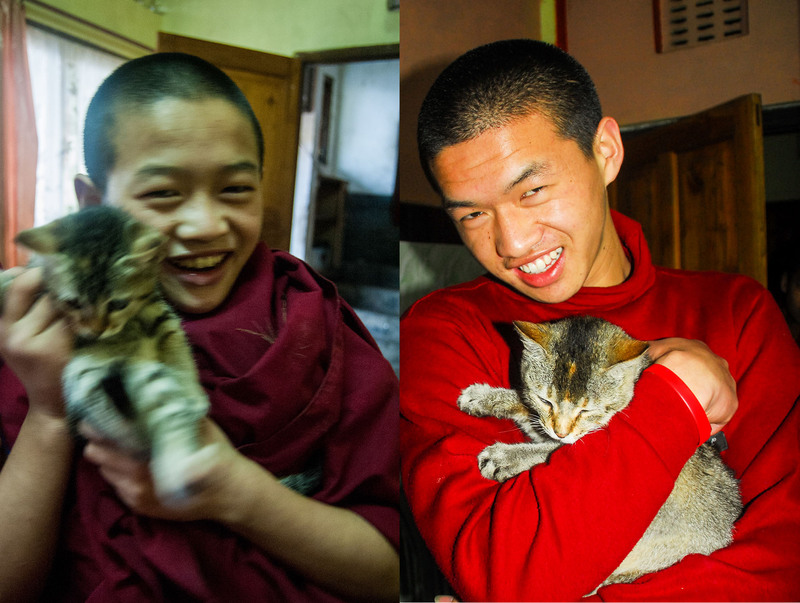 I was heartbroken to leave our gang of monks behind, and have been so happy to get a chance to visit them again. Mingma was always such a character. When we threw a mock fashion show to teach the English names of clothing, we knew Mingma would take to the spotlight. I was sorry to see our old classroom had fallen into disuse. The monks told us they have only had one volunteer English teacher in the past seven years, and their English has suffered as a result. Nima was reluctant to let us into his room to recreate this photo. We then saw what he was trying to keep hidden- a contraband Playstation. One of the monks said to me “We all look very different, but you still look the same”. Looking at this photo, I disagree. I feel like my face definitely shows the seven year difference. 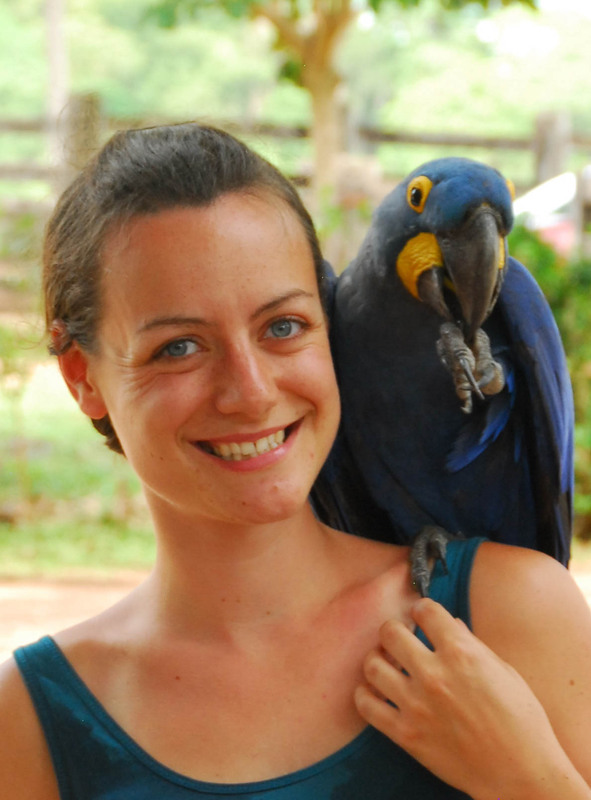 I love how well looked after the animals are at the monastery. I was even sure I recognised some of the cats and dogs that were still wandering around seven years later. There’s a unique dynamic between the younger and older monks at the monastery. With no parents around, an older monk tends to take on the role of a big brother, but also that of a disciplinarian. It was interesting to see our former students in a new light, as they have grown up and taken on this role. 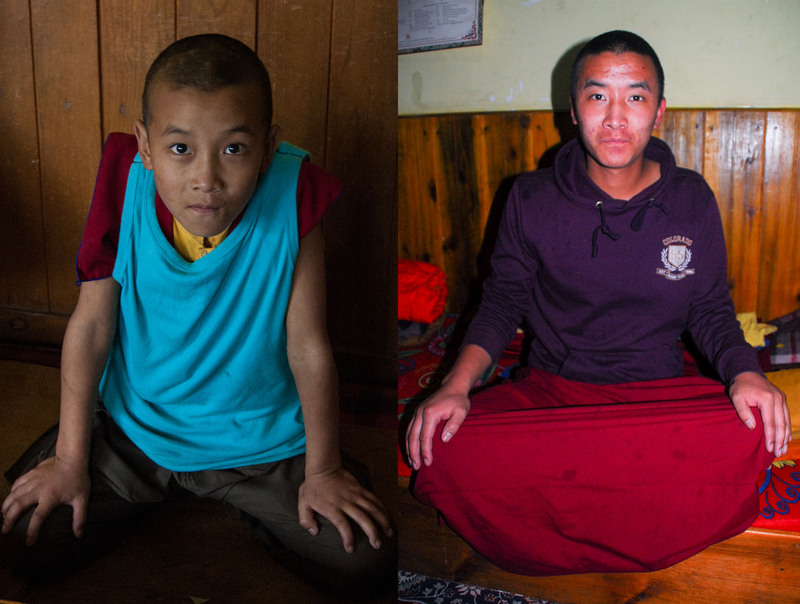 Some of our students have moved on to other monasteries, and others are no longer monks. But many remain, and, for some, this monastery will be their home for their whole lives. I don’t know when, if ever, we’ll get a chance to visit the monastery again. But I’m glad we got at least one chance to see our little monks all grown up! wow – that must have been a great experience to see them all again!! goosebumps!! I love this! 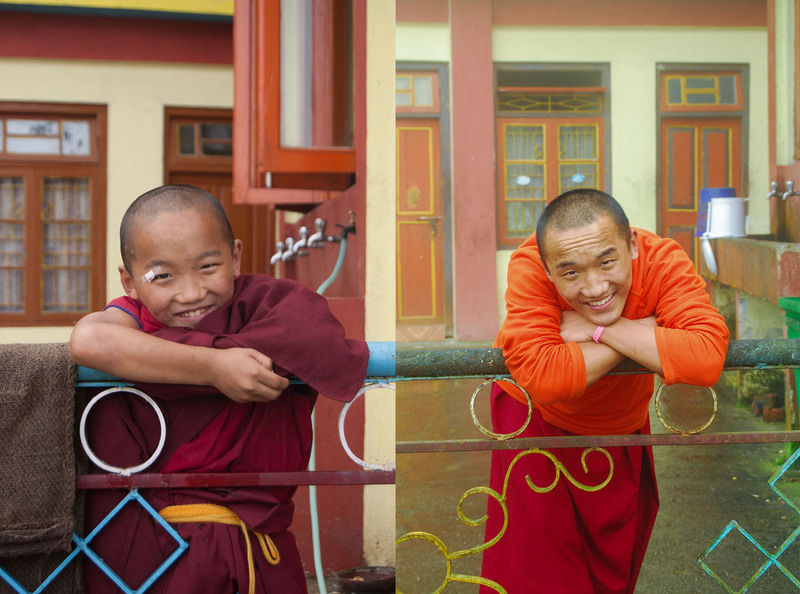 And the monk was right…I would never have guessed that those two photos of you were seven years apart!!! 🙂 What an awesome experience. I completely adored this post! I imagine it would have been such a rewarding experience for you both!